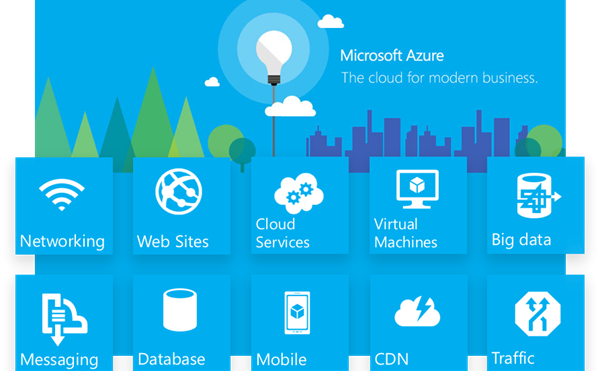 Microsoft Azure is an open, flexible, enterprise-grade cloud computing platform. 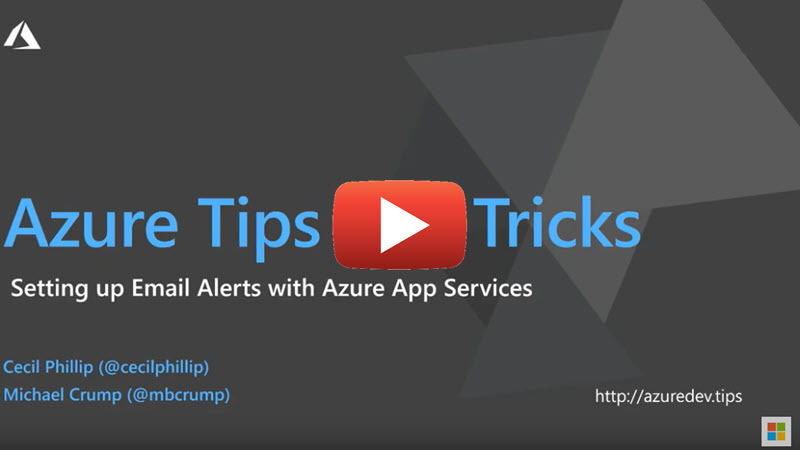 Azure has more than 100 services with great end-to-end tools to make you successful. Microsoft Azure is a collection of various cloud computing services, including remotely hosted and managed versions of proprietary Microsoft technologies, and open technologies, such as various Linux distributions deployable inside a virtual machine. Create a truly consistent experience across your hybrid cloud using comprehensive Azure cloud capabilities. Reduce complexity and risk with the platform, tools, and services designed to work together across your on-premises and cloud environments. Build and deploy your applications consistently, seamlessly manage data, enable anywhere access with single sign-on, and deliver integrated security and management across on-premises and the cloud. Reduce the workload by delivering features faster, choose from more than 100 end-to-end services and plug'n play applications. Microsoft manages multiple data centers across the world, and will seamlessly migrate your services to another data center if needed. Single identity to access on-premises applications and services in Azure, so you won’t need additional passwords. 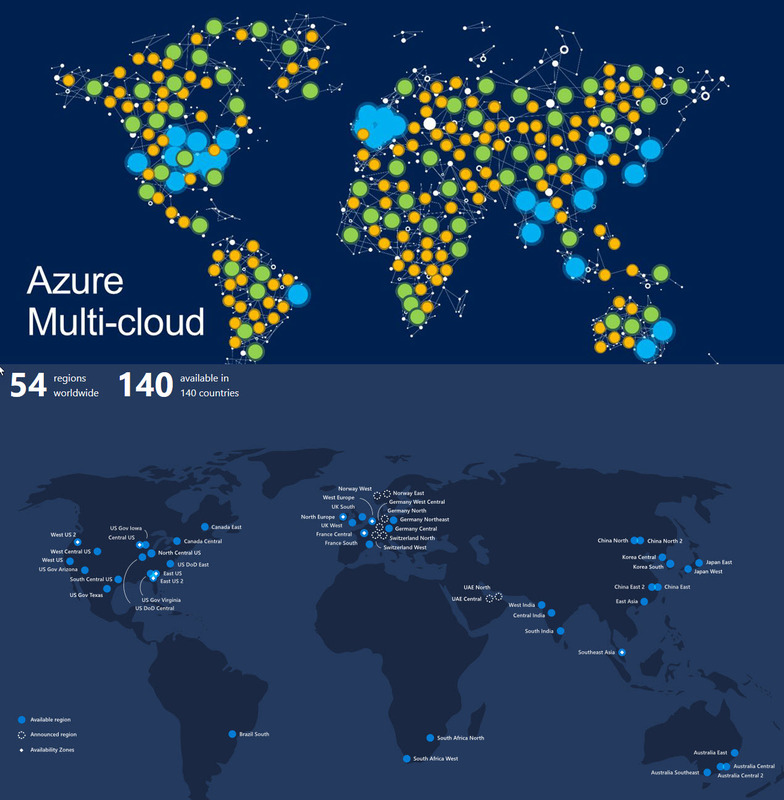 As Microsoft has the largest global footprint of data centers in the industry, using Microsoft Azure also enables institutions to expand their existing data center with Microsoft Cloud enabling global expansion of unrivaled scale. 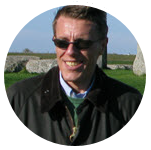 Customers can draw resources on-demand and pay only for the usage therefore helping them avoid upfront capital outlays and allow the growth of IT capabilities on an as-needed basis. Customers can explicitly choose which regions to deploy and store their data according to local privacy, security, or compliance requirements. 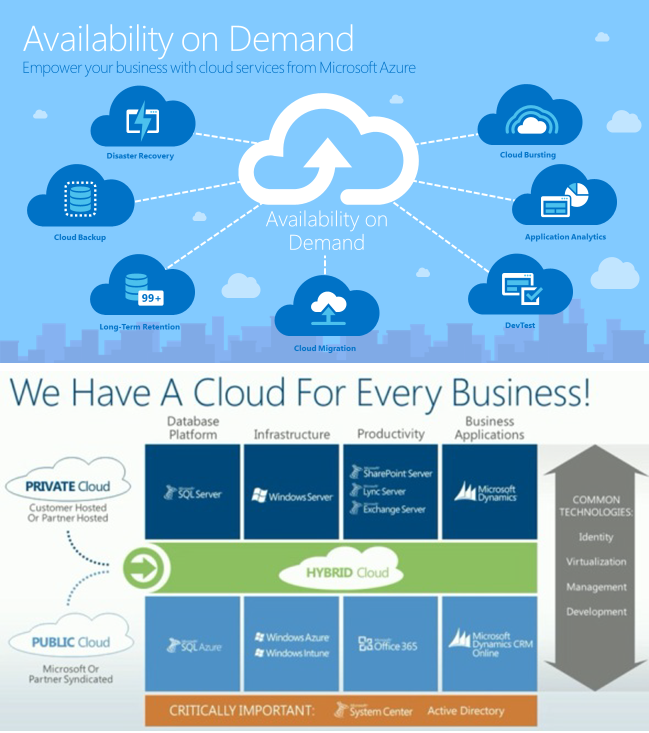 Microsoft provide seamless, secure hybrid cloud capabilities across infrastructure, data, users, apps, and management. Find out more here. With Microsoft Azure, customers can take the investments they’ve made in data and intellectual property, and extend from on-premises to the cloud, or vice versa. Microsoft Azure provides the portability to move technology investments, whether open source or not, from cloud to on-premises and vice versa. Consistency helps reduce the risk and cost of a hybrid cloud environment by enabling a common set of skills and offering portability of applications and workloads. 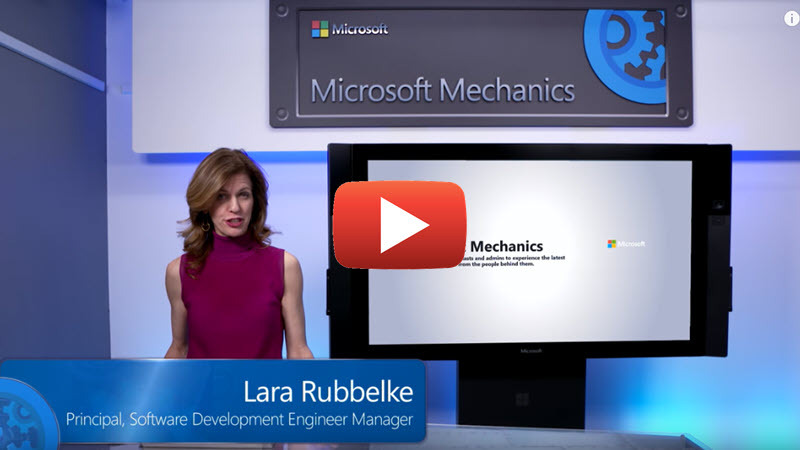 Microsoft Azure offers hybrid consistency everywhere: in application development, management and security, identity management, and across the data platform. Azure follows Microsoft’s Privacy Guidelines, which were created to give customers increased control of their data and information. 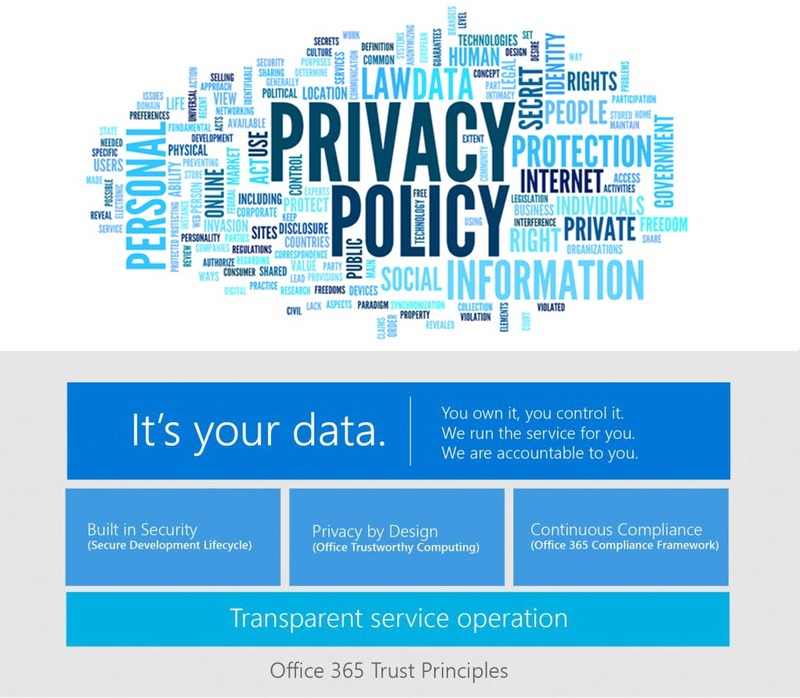 Microsoft security features such as encryption, digital signatures, policy-based e-mail management and Digital Rights Management provide maximum privacy and control of your data, as well as protection against data loss and theft. Microsoft Azure has automatic, always-on protection. Protect data, apps, and infrastructure quickly with built-in security services in Azure that include unparalleled security intelligence to help identify rapidly evolving threats early—so you can respond quickly. 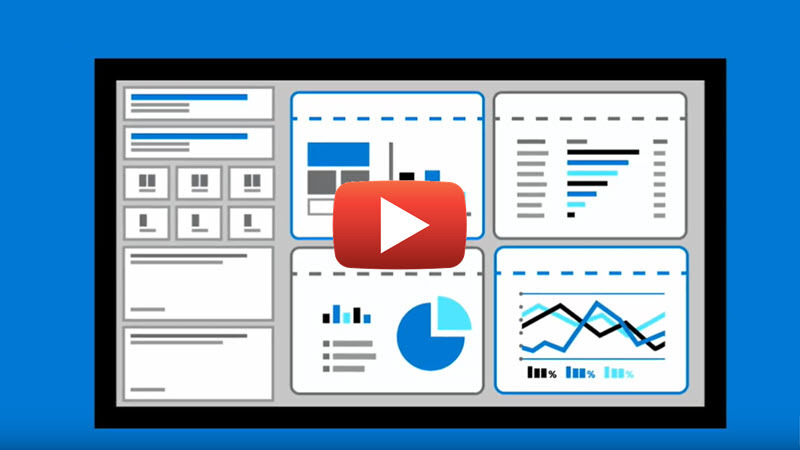 Implement a layered, defense in-depth strategy across identity, data, hosts, and networks. Unify security management and enable advanced threat protection across hybrid cloud environments. Take advantage of multi-layered security provided by Microsoft across physical datacenters, infrastructure, and operations in Azure. 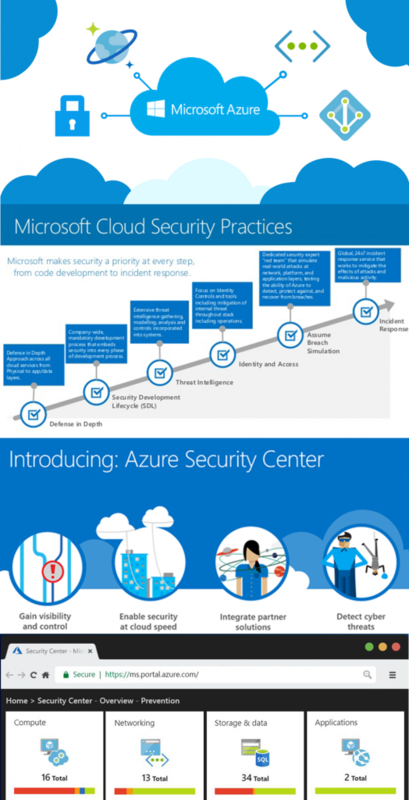 Gain from the state-of-art security delivered in Azure data centers globally. Which cost do I have to consider for the implementation of Microsoft Azure? How long does it take to complete the implementation of Microsoft Azure? Implementations with basic reports can take somewhere between 1 to 4 weeks, this will vary depending on the type of business and on a ‘case by case’ basis. Another part of the Microsoft Azure implementation is the customization – this is the part where the estimation solely depend on the modifications you want. Can Microsoft Azure be connected to other third-party systems and solutions? 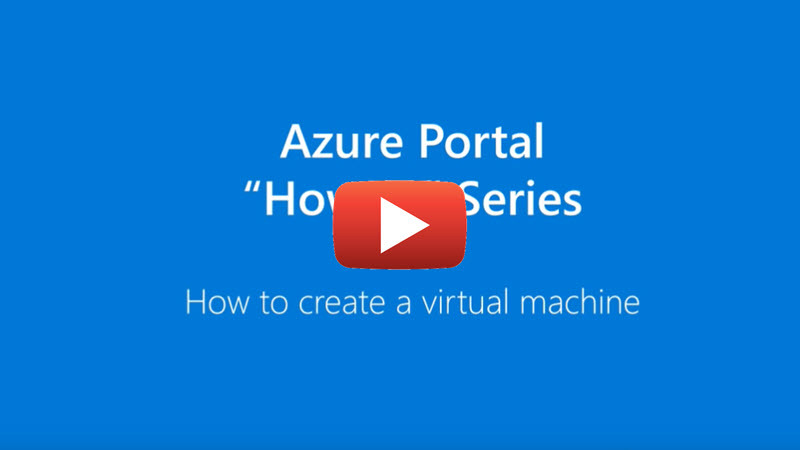 Yes, in our live demo section you can test such an integration between Microsoft Azure. Our development team has already made connections to well known systems such as Sage, Odoo, Amazon, EBay, WooCommerce, PayPal, QuickBooks, MailChimp, and many more. Can I access Microsoft Azure from a mobile device when I’m out the office? Yes, you can interact with your business right from your phone. 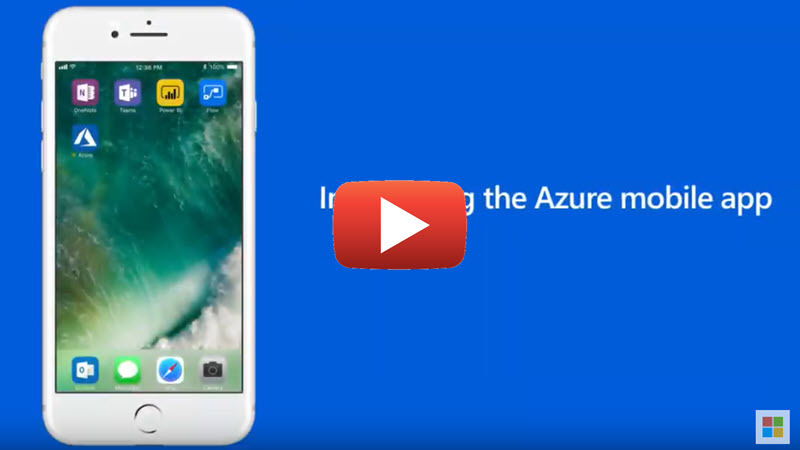 Securely access and handle virtual machines, apps, etc on any device, share resources and other material from the app to keep your team on the same page – the Azure app is available on all platforms. Step 1 - Assessment of your Microsoft Azure solution needs.